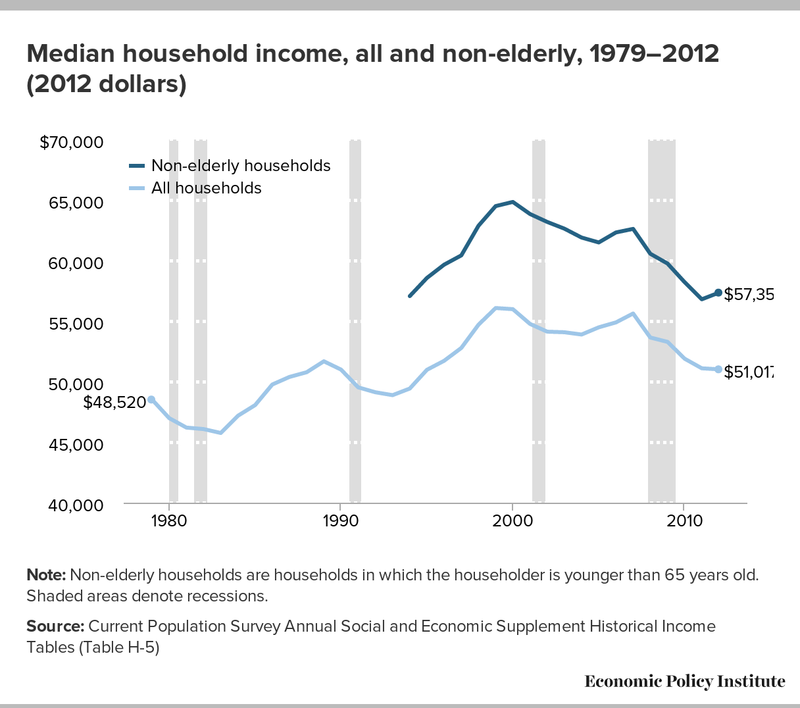 Note: Non-elderly households are households in which the householder is younger than 65 years old. Shaded areas denote recessions. The key driver of these income trends, besides lower employment and hours in the aftermath of the financial crisis, has been wage stagnation. In 2012, the median man working full-time, full-year experienced a slight increase in real earnings of 0.4 percent, from $49,209 to $49,398. The median woman working full-time, full-year also saw a 0.3 percent drop, from $37,893 to $37,791. Looking over a longer horizon, the trends are stark. 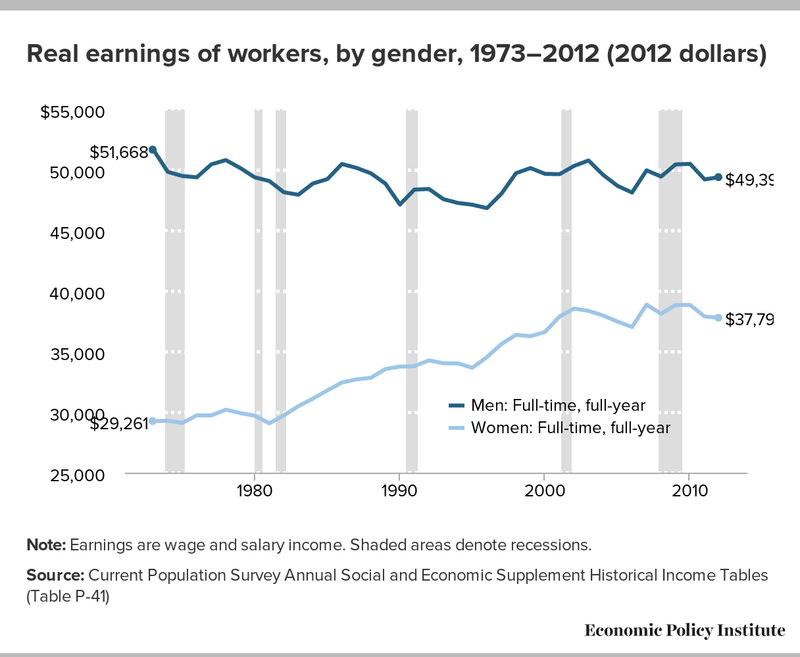 The median woman working full-time, full year saw her earnings grow from $29,261 in 1973 to $38,548 in 2002, and then stagnate for a decade, to $37,791 in 2012. Since 1973, the median man working full-time, full-year has seen no sustained growth, dropping from $51,668 in 1973 to $50,323 in 2002 and falling further over the last ten years to $49,398 in 2012. Note: Earnings are wage and salary income. Shaded areas denote recessions.